This 8 in. diameter Heat-Fab Saf-T liner by Selkirk, comes pre-drilled with pop rivets included in the kit and the liner is UL listed 1777 with 1 in. of clearance from chimney exterior combustibles when you use the Saf-T Wrap insulation. 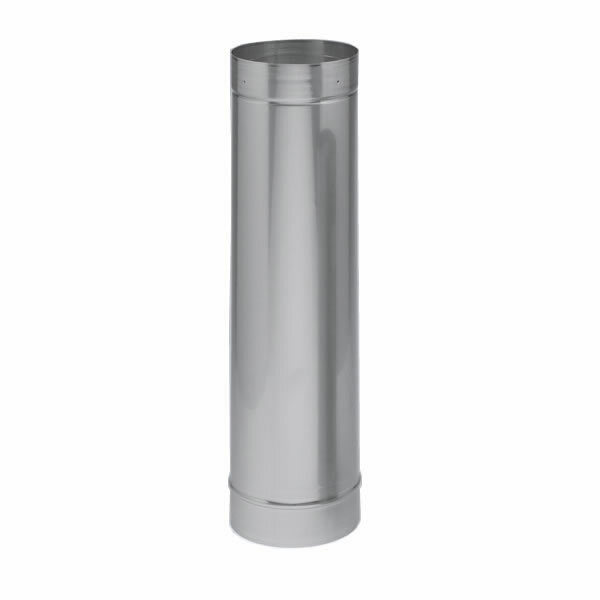 All of Selkirk's Saf-T chimney liner pipe is constructed of seam welded, 24 gauge 304 alloy stainless steel, and comes with the patented Saf-T Wrap insulation-which features aluminum jacketed sections of ceramic blanket that snap and lock around your pipe.